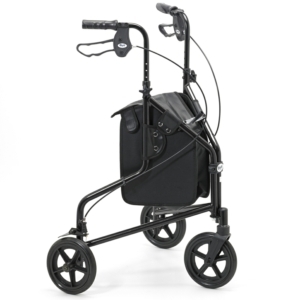 Tri walkers also have features that allow for more independence, and this makes them one of our most desired product. 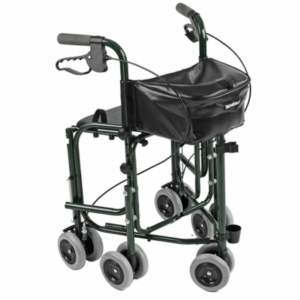 A three wheeled walker can be great if you don't want the bulk of a full walker. 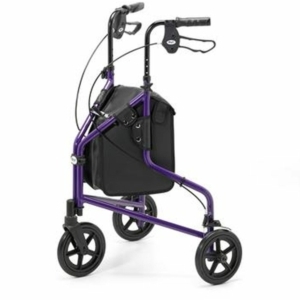 And the lightweight frame makes it great for transporting when you need to move the product easily and efficiently. 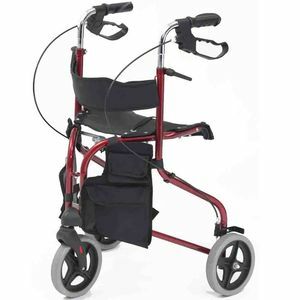 Our full list of walkers can be found below. 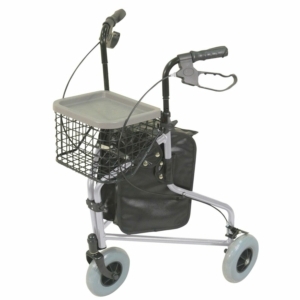 You can find out more about an item by clicking on a product link. From there you will be able to view more images and specifications regarding the product you have clicked on. 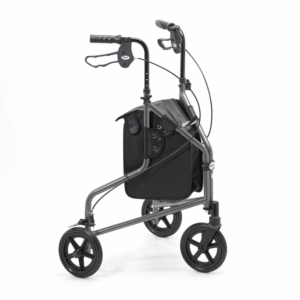 If you cannot find the rollator walker you require, why not visit us at your local Millercare store. You can find out where your local branch is by using our store locator. Above you will find a wide variety of our three wheeled walkers and rollator walkers. 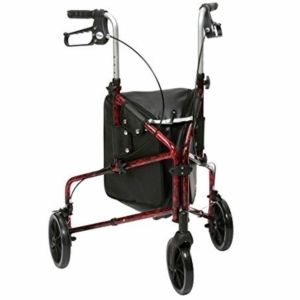 To view a specific product above, simply click on it to view more images and product specifications. Our best selling rollator walker can be found in the Drive Medical Walker. 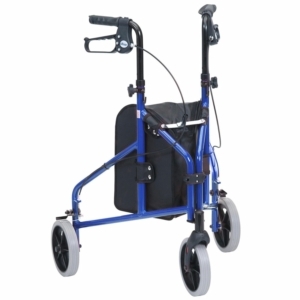 It is made from ultralight material, which means it can be transported easily without hassle or heavy weight. 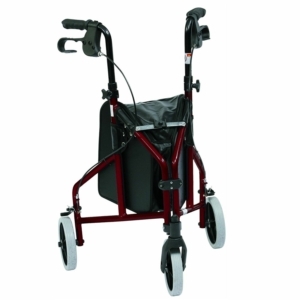 This walker also comes with a standard vinyl bag, making it lightweight and watertight. 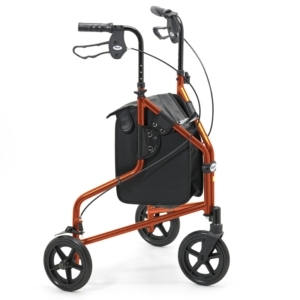 This item is foldable, and for those customers who suffer from arthritis, there are loop lock brakes - making braking hassle-free. If you are after something a little different, and something with a bit more colour. 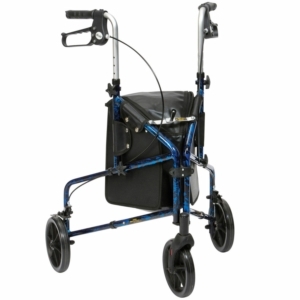 We also offer the Aidapt three wheeled walker. 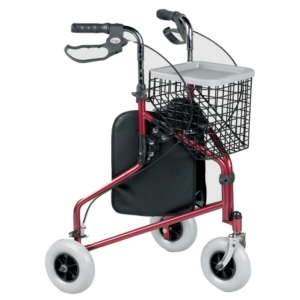 This pink framed walker is great for easy transport and storage. 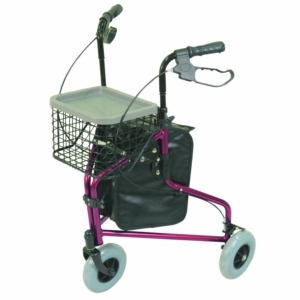 The durable frame makes this a great item to use in all conditions, and the pink can be swapped for blue, depending on your preference. 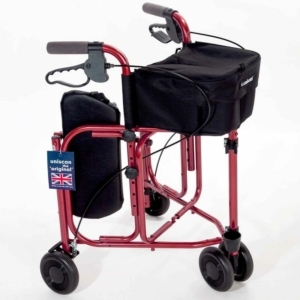 Our Uniscan Triumph three wheeled walker has a built-in seat, a locking brake system, a holder for walking sticks, a built-in bag, double front wheels for stability when in use and is a great walking frame altogether. The Seat on this item can be moved, so you use it whenever you want. 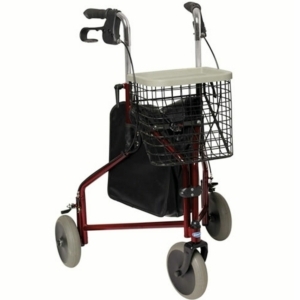 For other zimmer frames or zimmer frame accessories, visit the Zimmer Frame section of our site. 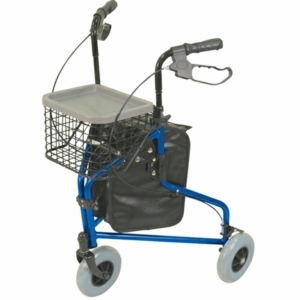 Here at Millercare, we offer a range of different products to suit different needs. 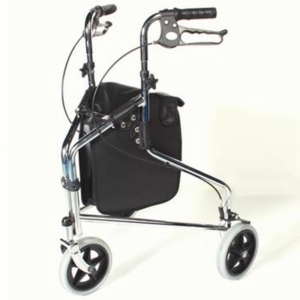 If you need to speak to someone about which item on our site or in-store suits your specifications, why not visit us at your local Millercare store.